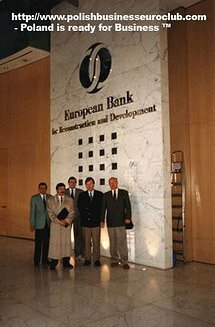 Direct cross exchange contact and exposure to large number of international companies. 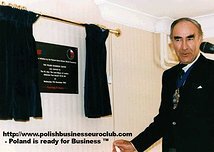 Our business roots began in 1993 after the opening of the Polish Business Centre in London Wall Buildings, Moorgate, City of London. 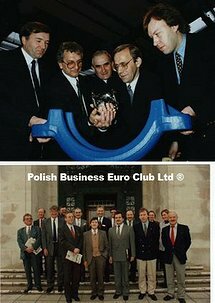 Since then we have attended and taken part in many trade missions between Poland and the UK, for example Bydgoszcz town in Poland with Swansea, Wales. 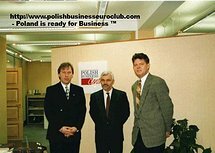 We have also hosted many international trade fairs and Expos with such products as Vodka from Polmos Starogard Gdanski, Electronics, helped to negotiate talks of expanding the Polish Motorways and many more memorable moments of good and productive co operation between the two countires. 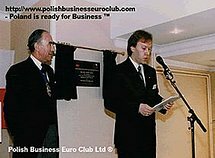 These where the first steps to open the channel of communication and major trade between UK and Poland and we feel that we have contributed a great deal of our expertise in helping UK industries to set up there strongholds and headquarters in Poland. 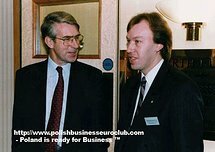 Some of well known industry giants include Cadburys Schwepps, Forte Group as well as many SME within the manufacturing industry. 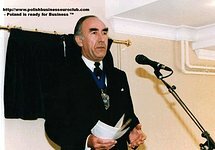 Just take a browse at our photo gallery for some of our most memorable moments in the past 13 years.